Cooking delicious and nutritious seafood gruel is such an art. Seafood contains lots of nutrients that are good for baby’s development. For that reason, moms shouldn’t forget to process seafood into delicious and attractive gruel for babies. 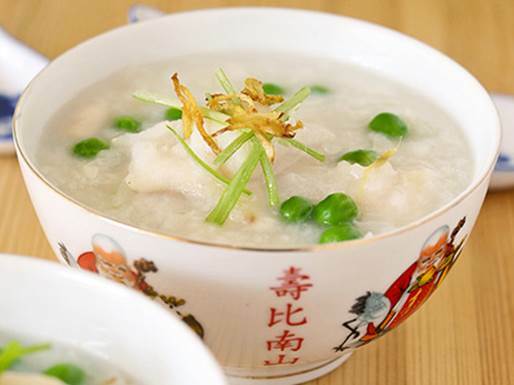 Snakehead fish and watercress gruel is not only delicious, but also nutritious for children. · Choose the snakehead fish that has flat head, black back. Clean the fish and get rid of its organs. Steam the fish till it’s cooked, then separate the lean and spice it. Crush the bone and filter it for 200ml water. · Crush the rice into powder. Clean watercress and chop it into pieces or you can grind it and extract for the water. · Put the rice powder into the fish water and cook it in low heat. When the gruel is cooked, put the watercress, fish meat and spices, stir the gruel then wait for a boil. 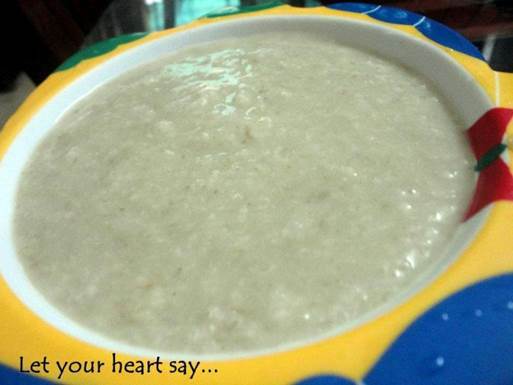 The clam and spinach gruel is simple but, has plenty of zinc which is good for babies who have constipation. · Clean and boil the clams cursorily till they open their mouth. After that, take the inside of the clams and take a bowl of clam water. Clean the clam’s guts then chop the clam into pieces. · Clean the spinach and chop it into pieces. Put it in boiling clam water and wait about 3 minutes, then add the clam and gruel in the clam water, stir them and wait for a boil. 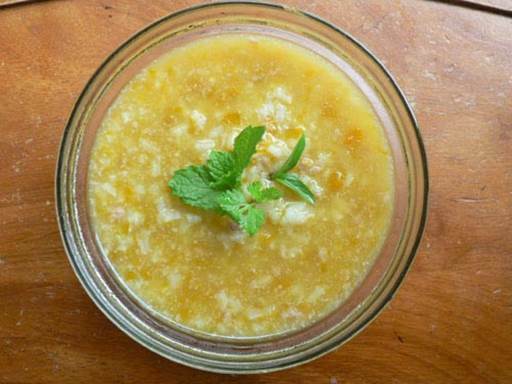 · The clam and spinach gruel is simple but, has plenty of zinc which is good for babies who have constipation.